The Swiss Association of Securities Dealers main purpose is to protect our member’s interests and to further and improve the regulatory status of securities dealers in general. Furthermore, our goal is to promote self-regulation in our industry and improve the securities dealers’s reputation both domestic and abroad. Securities dealers are financial intermediaries regulated by the Swiss Financial Market Supervisory Authority (FINMA) and are active in securities trading, asset management and investment banking. Legal basis for the regulatory status of being a securities dealer is provided by the Federal Stock Exchange Act, enacted in 1997. While most banks also hold the regulatory status of securities dealers, the companies affiliated with our association are exclusively securities dealer without simultaneous bank status. 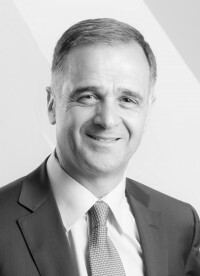 Pascal Böni holds the position of Chairman and CEO of Remaco Group since 1998, a financial services group regulated by FINMA (Swiss Financial Market Supervisory Authority), offering Corporate Finance, Advisory Services & Wealth Management to entrepreneurs and wealthy families. Origination and execution of corporate finance projects, predominantly growth and take-over-financings, mergers, acquisitions, divestments, management-buy-outs (MBOs), Management-Buy-Ins (MBIs), etc. Member of Nexia International (www.nexia.com) and representing Switzerland. Nexia is one of the leading international accounting & audit -groups. Several mandates in boards and other organizations. He studied business administration and international business law in Switzerland and abroad and holds a Master of Business Administration (MBA) from the University of Rochester, New York, an Executive Master of Business Administration (MBA) of the University of Bern, Switzerland, as well as a Master of Business Law (MBL) from the University of St. Gallen. 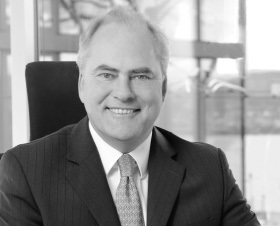 Hans-Jörg Baumann is a founding partner, chairman and CEO of Swiss Capital Alternative Investments AG. Swiss Capital Alternative Investments has been a member of our association since its foundation in 2000. In the board, to which Hans-Jörg Baumann belonged from the beginning, he predominantly represents aspects relevant to market and business models. Thus, he has significantly influenced the fate of our association as well as of the regulatory status of securities dealers. 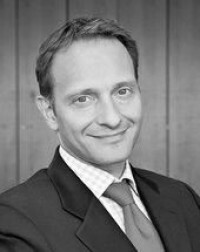 Before becoming independent in 1998, Hans-Jörg Baumann has been working for over 10 years in trading, sales and risk management at UBS, most recently as Head Switzerland Trading & Sales & Risk Management, Equity, Fixed Income, FX and Commodities. He has been on the board of directors of the Swiss Stock Exchange (SIX) for several years. In this position he influenced the transfer from a “open out-cry“ stock exchange towards an electronic exchange. Pius Fisch is a Member of Board since 2011. He represents predominantly aspects and the interests of “Asset Manager Securities Dealer”, i.e. securities dealers being active solely in the field of institutional asset management without managing client’s accounts. Together with his brother Kurt Fisch, Pius Fisch founded in 1994 “Fisch Asset Management AG”. The company nowadays has 50 employees and is a specialized Asset Manager for convertible bonds and bond products. Since 2006, Fisch Asset Management has been a FINMA regulated securities dealer. 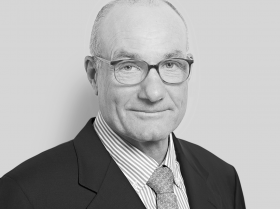 Pius Fisch is Chairman of the Board and Head of Legal & Organization. Prior to founding Fisch Asset Management, Pius has been working as a lawyer specialized in intellectual property law, followed by working in the field of international insurance at Zurich Insurance AG. 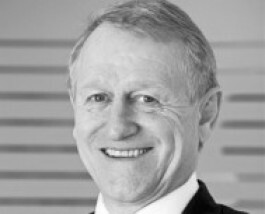 Pierre Fischer is the CEO of Bovay & Partenaires. In 2016 he joined the board of the SVUE where he primarily represents the securities traders that are active in private banking and act as custodians of their client’s assets. Pierre Fischer, a Swiss national, grew up and was educated in the United States before studying at the Univerity of McGill in Canada and later at the Wharton School in the United States. After his studies he launched a varied career in Finance in Switzerland where he has been active in Investment Banking, Private Banking, Risk Management and Mergers & Acquisitions. He has held senior roles in General Management including CEO of a universal bank and CEO of a private bank, and has been a member of numerous Boards in diverse areas. In over 30 years he has gained extensive knowledge and experience of the regulatory environment and has acquired experience in crisis management. He is also the founder of 2 start-ups in the financial industry.